Thank you for choosing Northern Colorado Disposal Inc. for your garbage disposal needs. 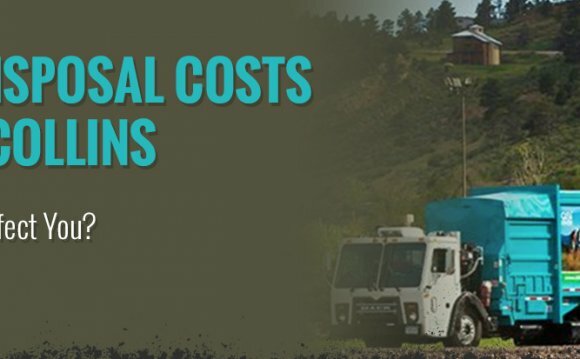 Northern Colorado Disposal collects garbage, recycling, compost and yard debris from thousands of residents and businesses in the Greeley and northern Colorado area. Trash is collected weekly and should be placed in the alley or on the curb no later than 7:00am. Includes as many bags of regular household trash and yard waste (leaves, grass clippings and up to three bundles of branches) as you would need to set out each week. Please cut branch length to a maximum of three feet and tie them so we can grab and go! Polycarts may be rented upon request for $3.00 per month. We also offer office and residential recycling service, picked up every two weeks. At your request, we will also haul large items such as furniture, appliances and construction materials. These items will incur an additional fee. We charge per yard for cleanup of loose trash on site. This charge includes clean up service fees as well as disposal fees. If you have questions concerning specific fees, please call the office or ask your driver. We cannot take hazardous materials such as motor oil, wet paint, etc. For a referral to dispose of such items, please call (970) 304-6415 x 2233. Weekly pick-up will be delayed by one day if your normally scheduled pick-up day falls on or after the following holidays: New Years, Memorial Day, Fourth of July, Labor Day, Thanksgiving and Christmas. The exception would be if a holiday falls on a Saturday or Sunday. Adverse weather conditions may cause a schedule delay. Please see the Calendar page on our web site for updates. If you think you have been missed for regular pick-up, please let us know the same or following day. For information about specific collection services in your area, please call 970-353-4090. Special Wastes- Demolition, remodeling and any construction-related needs. Northern Colorado Disposal offers commercial services in the size container most conducive to the client’s needs. Additional charges will occur when construction debris, such as wood, drywall and concrete are placed in the container and when the container is found to be over-full and impossible to dump. Joan M. Menard (born September 6, 1935 in New York City) is a retired American politician who currently serves as the vice president for work force development, lifelong learning, grant development and external affairs at Bristol Community College.